Whenever I want to get depressed about our permanent war in Afghanistan, I know what to do. Just read Dexter Filkins’ latest. There’s his astonishing book, The Forever War, and there are his regular reports in the NYT. But he has left the NYT for the New Yorker, and today his first New Yorker piece appeared. American officials say that Kabul Bank’s largesse included members of parliament and almost anyone whose silence would allow bank executives to embark on a spree of buying, lending, and looting. In addition, some former and current Afghan officials say, Kabul Bank became an unofficial arm of the Karzai government, bribing parliamentarians in order to secure votes for its legislative agenda. 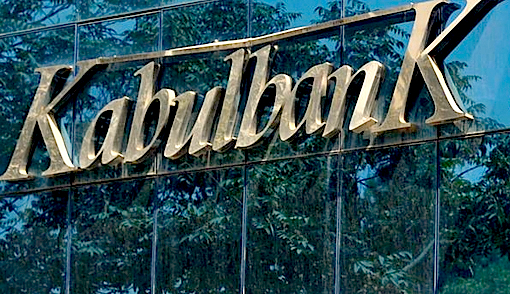 The tens of millions of dollars that have, according to investigators, been doled out by Kabul Bank to Afghan officials are part of at least seven hundred million dollars determined to be missing from the bank. Nine years into the American-led war, it’s no longer enough to say that corruption permeates the Afghan state. Corruption, by and large, is the Afghan state. On many days, it appears to exist for no other purpose than to enrich itself. Graft infests nearly every interaction between the Afghan state and its citizens, from the police officers who demand afghani notes to let cars pass through checkpoints to the members of Karzai’s government who were given land in the once empty quarter of Sherpur, now a neighborhood of grandiose splendor, where homes sell for hundreds of thousands of dollars. Bribes feed bribes: if an Afghan aspires to be a district police officer, he must often pay a significant amount, around fifty thousand dollars, to his boss, who is often the provincial police chief. He needs to earn back the money; hence the shakedown of ordinary Afghans. In this way, the Afghan government does not so much serve the people as it preys on them. Last year, Transparency International ranked Afghanistan the hundred-and-seventy-sixth most corrupt country out of a hundred and seventy-eight, surpassed only by Somalia and Myanmar. “It’s a vertically integrated criminal enterprise,” one American official told me. Really, what are we doing there? Why has Obama made this his war? Is there any way he will see fit to find a genuine exit strategy?